DJ Andy’s eclectic mixology is best described as a story of soulful-infused blends with influences in Hip Hop, RnB, Reggaeton, Pop, EDM, and Classic Rock. DJ Andy has always considered himself as an artist at heart. His interest in music transcends mixing tunes. Growing up, he adopted his parents’ appreciation for Motown and Funk. As well, his love for Hip Hop started at a young age. It grew through his experience as a break-dancer and graffiti/portrait artist. He continued with his pursuit of music as a tenor saxophonist with his high-school jazz band, and eventually honed his skills on guitar and vocals. He then formed Vancouver-based cover band “Phazers On Stun” as lead singer, performing various covers of classic rock, blues, 80’s, and pop tunes. They gigged regularly in the Kitsilano, Vancouver area. While simultaneously performing in his band and DJ’ing, he started his own company, “Andy Soul Entertainment”. Based on an increased demand from wedding and corporate clients after just a few years, he took a break from his band in order to concentrate on DJ’ing as his primary focus. As a DJ, he has rocked the crowd, spinning tunes for several “big name” corporate clients, including Pemberton Music Festival, VGC International School, New Image College, Steve Nash Fitness World, SpinHouse, Gold’s Gym, ILoveKickBoxing, and Armani Exchange, just to name a few. He is hired for seasonal parties each year for several government agencies. He stays connected with the various music trends of a young, urban crowd of cliental through his experience in DJ’ing for various university/college parties. 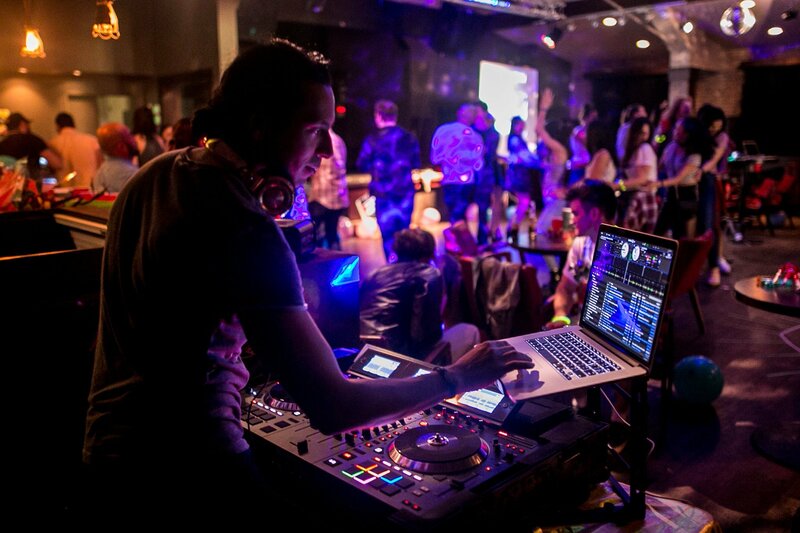 You can also check him out as resident DJ of Moxie’s Bar & Grill Guildford every Friday evenings! DJ Andy takes great pride in providing nothing but the best customer service for weddings especially. Along with his DJ’ing services, he provides high caliber, self-owned equipment, including dazzling effect lighting sure to compliment any venue. He has DJ’d a multitude of weddings and has excellent experience with fusion weddings of various cultural backgrounds. Singer, Artist, Promoter, and Mobile DJ Company Manager – these roles play an integral part in DJ Andy’s profile and have contributed to his skills as a renowned DJ. If clients are looking for a talented, experienced DJ whose passion for music is multi-faceted, look no further! “But most importantly, for me it all about setting up the groove on the dance floor , taking the party-goers on a musical journey, and maintaining the energy throughout, regardless of era, category, tempo, or genre of music”. Check out Andy on Soundcloud!